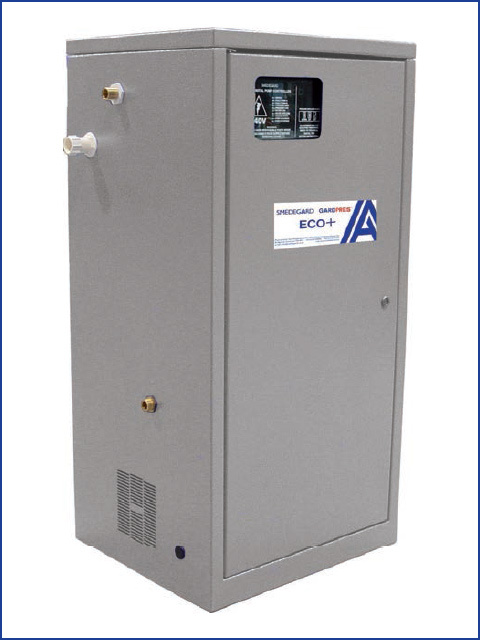 pressure, alarm delay, fail safe mode,standby mode, alarm levels, pump exercise, low water reset timer, leak alarm and pump A/B status to allow for single or twin pump operation. To facilitate ease of fitting all connections are located on the left side of the WP ECO+ DIGITAL. This allows fitting of the unit in restricted spaces. All WP ECO+ models are suitable to be used as either a top up or fill unit. When using as a fill unit the optional Safe Fill kit must be fitted. WP ECO+ DIGITAL units are available, upon request, with integral thermal condensation/frost protection. The WP ECO+ DIGITAL range are provided with 5 bar pumps as standard and adhere to Smedegaards’ policy of only offering quality engineered products, built by engineers for engineers. run/fault, system pressure and error code. Parameters that can be set include, pump pressure/set point with differential, high/low pressure, alarm levels, pump exercise, low water reset timer, leak alarm and pump A/B status to allow for single or twin pump operation. To facilitate ease of fitting all connections are located on the left side of the FP ECO+ DIGITAL. This allows fitting of the unit in restricted spaces. 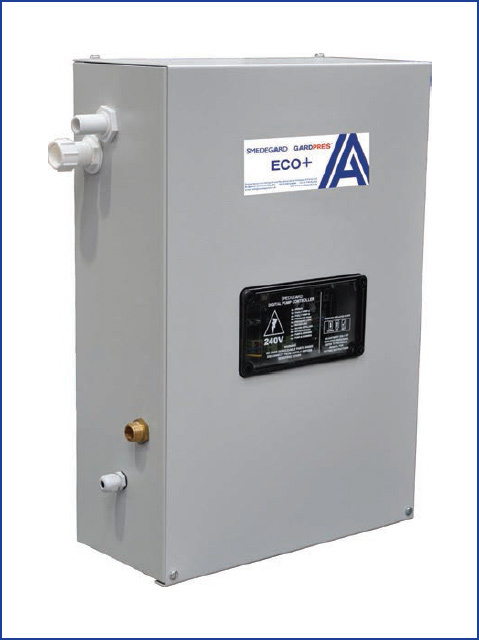 All FP ECO+ models are suitable to be used as either a top up or fill unit. When using as a fill unit the optional Safe Fill kit must be fitted. FP ECO+ DIGITAL units are available, upon request, with integral thermal condensation/frost protection. The FP ECO+ DIGITAL range are provided with 5 bar pumps as standard and adhere to Smedegaards’ policy of only offering quality engineered products, built by engineers for engineers.